Backlinks are a critical component of any SEO strategy because they help the search engines understand the quality and performance of websites and web pages. If the backlinks pointed back to your website are highly relevant, qualitative, and authoritative, Google (and the rest of the search engines) will perceive you as a relevant, qualitative, and authoritative site that deserves exposure and traffic. Many years ago, Google was using an ancient ranking system that was calculating authority and relevance based on the total number of backlinks a site was featuring. When the system got abused by manipulative, black-hat SEO techniques, Google’s algorithm suffered significant modifications. Nowadays, “good” backlinks must be built naturally, and they must bring a lot of relevancy. The bad ones? They draw lots of ranking penalizations and “sandboxing” punishments. As a webmaster, SEO practitioner, or digital marketer, you’ll need to acknowledge the potential Google penalties that your site could suffer due to “bad backlinking tactics” and optimize your approach as quickly as possible. In today’s post, we’ll discuss several backlinking tactics that can harm your blog ranking position. Make sure that you avoid these approaches at all costs. Stick by the rules and your rankings will be rarely harmed. The world of SEO is continuously changing as time goes by. A few years ago, article directories used to be one of the best methods of cultivating “working” backlinks. It was simple, cheap, and effective: post one blog post on ten article directories and get hundreds of backlinks from websites that “borrowed” your content with the condition of pointing one or more links back to your site. As more and more webmasters used this tactic, the quality of the content has suffered big modifications: poorly written content, duplicated content, and keyword-stuffed content was all over the place. Google took action and started penalizing low-quality backlinks that came from exploited article directories. Nowadays, posting your content on article directories is a high-risk attempt to grow in rankings, so you’d better avoid it. Guest posting is fine, as long as the website who links back to your blog doesn’t feature duplicated or spun content. “If you want to rank your blog faster, you should write more content, engage with more relevant niche industry blogs, and create better experiences for your visitors. Of course, that takes time. Many webmasters are trying to speed up the process by purchasing backlinks from various sources, so they’ll eventually get burned.” – admits John Blackwater, marketing manager at Essays.ScholarAdvisor. Whether you or anyone else is aware or not, Google’s hunting down anyone who approaches this tactic. Paying for links is an official unaccepted practice, and the consequences are severe. The benefits are promising, of course, yet the potential damage makes this backlinking strategy not worth it. A private blog network is a service that allows webmasters and SEO marketers to buy link space on various blogs and website domains. A PBN is comprised of more websites or blogs, typically managed by a single person and designed to offer backlinking space to anyone who pays for it. You can write a new blog post and place your link inside -> the PBN posts the article, you get the backlink. You can place your link into already-published blog posts within the PBN -> you get the backlink immediately after paying. The previous heading explained how paid backlinks represent a tremendous risk. Since 2012, Google’s actively pursuing and shutting down PBNs. Now. If you buy a backlink and the PBN gets busted, Google will discover your backlinks and will severely decrease your rankings. The sidebar and footer areas of a blog can be used in many ways. However, many webmasters have started cramming suspicious links inside them, so Google took action. If you think about it, the average reader won’t pay much attention to these sections, so sneaking one or two backlinks has become a widely adopted practice. Now you know exactly what you must avoid. If you come across these types of links on various websites, please check their rankings. More often than not, blogs and websites that adopt this practice will suffer negative ranking consequences. Even though blog comments aren’t necessarily a productive way of improving a blog’s rankings, many webmasters are tempted to try it. They count as backlinks, though they’re not as heavy as the regular backlinks that are part of the main editorial content. If you ever thought of faking your comments and using this manipulative SEO strategy, you should drop the idea now. If somebody else (who you don’t know) posts such comments on your blog, you should immediately remove them because Google won’t really investigate the situation. If your blog is featuring these types of comments, you’re subject to Google’s penalties. Don’t get me wrong – building connections with various industry bloggers is a great way of improving your backlinks profile and an exceptional way of showing Google that you’re focusing on healthy link-building. However, if a local Australian website that sells baby products links back to one of your graphic design articles, Google’s going to raise some questions. If you link to a highly relevant website and they link back, once or twice, that’s completely fine. If you exchange links hundreds of times, you’re basically manipulating Google’s algorithm. Therefore, if you choose to use this tactic, make sure you’re always exchanging backlinks with blogs and sites that are within your specific industry and that you never exaggerate it. Effective backlinking is a process that demands time, attention, and consistency. As you keep posting backlinks, you’ll eventually identify what works and what doesn’t, even if that means you might suffer little damage along the way. 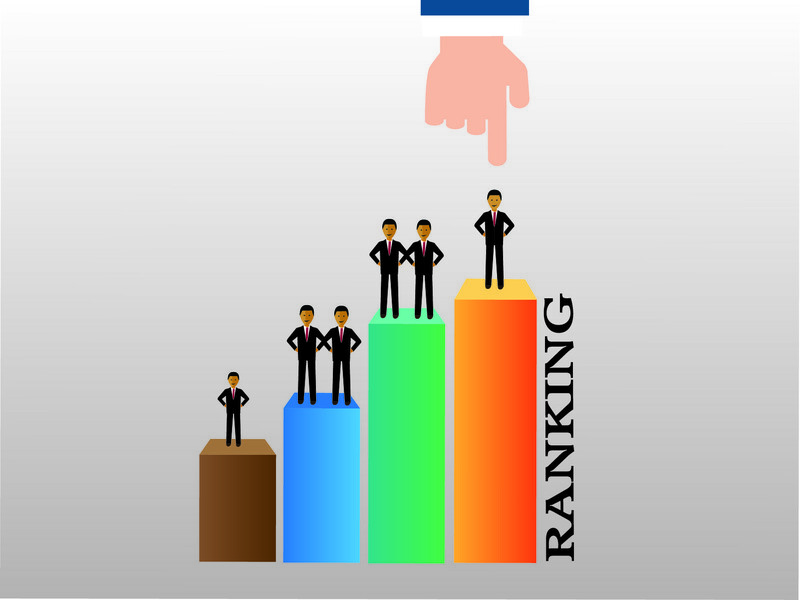 But, if you take our advice into consideration, you should significantly decrease your odds of hurting your rankings! Jack White is optimistic that he will carry his past success into the future. He managed to work his way up from the bottom and today he is an excellent writer who also works at Essays.ScholarAdvisor in the PR department. I am Internet Marketer, I don’t have that much in detail knowledge about backlinks, Thanks for sharing an article about that I’ll take care from the next time before creating backlinks. Great post. You have shared a very informative post. Back-links are such an important part of Seo, however, it is important to acquire them in a proper manner. You have explained well about the dos and donts. What an amazing post. You have shared such an important article. I am so glad I landed on your page. SEO is not a rocket science when you think long term. Link building is definitely one of the most crucial factors in SEO. That being said, if you really want to get higher rankings, links are not the only source as you can also get traffic by creating exceptional content that adds value to your target audience. Rightly said about poor link exchange as I’ve seen so many bloggers doing it. There’s no point of getting reciprocal links from low quality sites. Here’s where you need to remember that, quality is way more important than quantity. One link from an authority site is better than getting 10 or even 20 links from low quality sites. Purchased links should be done naturally. I personally have bought links from few trusted sources couple of years ago and they are still working like a charm (buy links from those sites that don’t give out too many links, that’s the key here). Gone are the days where you can still depend on article directories to build links for your site. You now need to focus on quality guest posting, email outreach, influencer marketing etc to generate quality links. Thanks for the great post Jack, keep posting more. Thanks for the great tips. I keep getting a colleague trying to convince me for creating a PBN…you are playing with fire here, and your hard earned efforts will quickly be diminished by this risk. I like that you brought up disguised blog comments. I really cannot believe spammers are still doing this! Building backlinks are a very important task in SEO. Without backlinks how we can get good google page rank and Alexa rank. These are the best ways to build backlinks.